This is one of the posts that go me banned from akimbo, the Canadian art advertising network. There’s a smell of insider-trading, then censorship to silence the whistle-blower. If art is anything you can get away with, the worst you can get away with is always the best strategy, leading to a consistent degradation of the field. Postmodernism is the urge to shock; we’re repeatedly told it’s the most exciting art of our time, yet doubts remained. When post modernism denies tradition no one knows what art is anymore. So when a dominant trend rejects our expectations, leaving us clueless, some pioneers carve out a new path that others follow. For example at the 1976 Venice Biennale, Michael Asher filled a corner of the Italian Pavilion with twenty-two folding chairs. He wanted the space to be a “functional” lounge where “visitors communicate with each other on a social level”. 29 years later, in 2005 Geoffrey Farmer filled the Power Plant gallery with old desks , followed a month later by Luis Jacob filling the Art Gallery of Ontario with furniture. Luis Jacob’s Habitat, comprised of furniture and décor from the 1970s and 1980s, is a series of tableaux that is at once a commentary on the aesthetics of design and an interactive space intended for viewer inhabitation and use. The artist said his work was important. Some felt it was dubious while others, including the curator, considered it art. Geoffrey Farmer later cut pictures out of art books and glued them to sticks, Luis Jacob cut pictures out of art books and framed them without explanation. Although imitation is the most sincere form of flattery it is not “the most exciting art of our time”. Postmodernism brushes such critique aside with well-paid scholarly articles commissioned by important curators. It is said that the less effort it took the more conceptual the work. Unpacking this wisdom yields disingenuous assumptions. An artist does not use skill to deceive people, any more than doctors use skills to deceive patients. Skill takes so long to learn, requires such deep commitment and dedication, that anyone able to make the grade will not wastes their life deceiving but will produce the vision that drove them that far. So the idea of skills deceiving people? It’s the ones lacking skill who need to deceive. Nor does a skilled artist creates an effect when in reality it’s a statement and a work of love. Which brings us to “the deeper way that artist would compel us to think”. That deeper way wonders where’s the art – if the artist is MIA? We’re compelled to deeply think that this is the art of the salesman, not the art of the artist. There is no art here, only clever marketing; any pretence to art is obviously fake, and that’s a postmodern strategy. In Europe during the period known as the Enlightenment, (1685-1815), individuals used reason to question contemporary practice. It is a shame postmodernism has put reason aside just as it discarded skill, in order to overleap tradition. Now we learn of Luis Jacob’s artist fee for bringing chairs to that room, he’s obviously worth every penny. Compared to the working class janitor who brings chairs to that room with small change in his pocket, Jacob does it with an artist’s fee in his wallet. The indifference to skill is so professional it makes Luis conceptual indeed. Surely he wouldn’t be nosing the feedbag if bringing furniture into a room weren’t the most sophisticated of Canadians arts? Being an artist and curator is no easy life they say, one needs to be noticed; one needs to shock. In his BBC article “How modern art became trapped by its urge to shock”, Roger Scrutton wrote that “The fake is a person who has rebuilt himself, with a view to occupying another social position than the one that would be natural to him. Such is Molière’s Tartuffe, the religious imposter who takes control of a household through a display of scheming piety…(3) So powerful is the impetus towards the fake that it is now rare to be a finalist for the Turner Prize without producing something nobody would think was art until they were told.” In Canada we won’t be left behind when the Sobey prize was awarded to a 2m long metal fence rented from home hardware. You can put a wig, false eyelashes, even an entire beauty parlour inside an art gallery but it will never be more than a circus, an elaborate pretence, a counterfeit pretending to have meaning. When art is fake the power comes from personalities able to influence others, among actors they’re the most convincing. Making art purposefully incomprehensible is a postmodern strategy. Duchamp set that precedent with the Large Glass, the Bride Stripped Bare by her Bachelors. Duchamp intended the Large Glass to be accompanied by a book, in order to prevent purely visual responses to it, (4) but the notes and diagrams in the book explain elements not present in the work. Marjorie Perloff suggests “Large Glass is also a critique of the very criticism it inspires, mocking the solemnity of the explicator who is determined to find the key”. (5) There was no key. The strategy of the Large Glass is that it pretends to meaning: there’s nothing to get except the suggestion that there’s something to get. Duchamp wanted to deny even his own inclination, his own taste. The only problem was that lacking taste, a work isn’t interesting, it’s common. Personal taste gives art meaning. If we didn’t know the Large Glass was by Marcel we might see it as no big deal, yet it is seminal because for the first time Duchamp made work that strategically pretends to meaning without having any. Jacob and curator produced something similar, perhaps to shock the spotlight. You bet everyone expects hidden meanings from this artist‘s superior intelligence. You got owned! Perhaps we should look at how intelligence interfaces with art. In a 1968 BBC interview with Joan Bakewell, Duchamp claimed the conceptual mantle when he said that until his time painting was retinal, what you could see, that he made it intellectual. (6) Today we know Duchamp then stopped painting; he made no paintings anymore after he made painting intellectual. It was like a broken leg he said (see Cabane interviews), and soon after he stopped making any art. For another twenty years he poked and prodded at Étant donnés in a room behind his now empty studio as if trying to revive a lost relationship, but along with the visual language of aesthetic sensibility that Duchamp discarded the art was gone… and like every spurned lover she’s not coming back. Academia must be teaching young students to be chess players, not artists, since by promoting Duchamp they’re teaching youth to paralyze their instinct by thinking too much. We admire Duchamp, having learned in school to do so, when we should see him as a cautionary tale. This failure of logic is toxic to the arts, it corrupts. Miklos Legrady, 27″ x 38″ – 68.58cm x 96.52cm, Aylan Kurdi, acrylic on cardboard. October 05, 2015. Luis Jacob today at TPW. Ten years later in Toronto, Luis Jacob cuts pictures out of art books, then frames them and hangs them without further explanation “in order to destabilize your viewing conventions”. Luis will later destabilize the budget of the Art Gallery of Ontario or the National Gallery; curators were already at the opening sniffing the burnt offering… after all these are pictures cut from art books! Destabilizing is this year’s word at the National Gallery, they use it till it wanes superficial and fades to a cliché. Jacob has a budget for writers to explain why you were destabilized once again (yawn) … as if 40 years of destabilizing weren’t enough… please… can’t you just give it up… just let it go? These strategies provide Jacob with a now unstable (destabilized) audience who are fed their own ignorance as humble pie, followed by a hefty dinner bill. Luis is a high-earning artist and I hear a tenured professor at the Daniels Faculty of Architecture, Landscape, and Design, and he’s also a well paid curator at the National Gallery of Canada…so none would dare question his OCADU lecture fee for an evening titled “What’s Your Disruption?” Sounding like a grasp for street credibility, is he asking for disruption or is it about him disrupting others? Well, Jacob as a curator should appreciate my article; it’s Foucault’s parrhesia, a hot disruption of Canadian art history. But I’m humane, I don’t want to hurt his feelings so I didn’t disrupt his evening at OCADU or TPW. I didn’t rain on his parade, nor did I make him cry at his party even if he wanted to, but enough! When artists and curators call for disruption they mean exactly this level of scholarly activism… so any touchiness at my words is obviously misconstrued and surely inappropriate. Roger Scrutton explains how a high culture gets corrupt, and boy, our times are swampy as it gets. If you read anything he’s written you’ll know that Luis Jacob is a literary genius. I’m astonished how well he weaves ideas, themes, and metaphors in a beautiful tapestry of words and thoughts. His writing puts mine to shame and if he restricted himself to writing books I would buy every one to enjoy late at night by the fireplace. Unfortunately Luis Jacob writes exhibition proposals. They persuade juries his work is something special when perhaps it is not; it’s his writing that’s special whereas Jacob’s art looks like juvenilia. As a University of Toronto fine arts professor, National Gallery of Canada fine arts curator, trendy rebel lecturer, and art world networker, it could be that he is too busy to be a practicing artist when art is anything you can get away with, and if anyone gets away with it, it’s Jacob. Milks Legrady, Ai WeiWei as drowned refugee and bird whose stomach is full of plastic, 33″ x 48″ – 83.82cm x 121.92cm, acrylic on cardboard, Feb. 04, 2016. Some believe art is mostly the idea but that has to be wrong; only a narcissist would assume we’ll admire every thought passing through their head. Art has always been about work, as in a work of art. As the researcher K. Anders Ericsson has shown, becoming an expert at anything requires the development of neural patterns that are acquired through much practice and repetition. Surely if he locked himself in the studio for a year like performance artist Tehching (Sam) Hsieh, Luis Jacob might produce something, the physical trace of a subliminal unfolding, the process of mastering and making art. Canadian art is post-truth, postmodern, and post mortem… If we believe a room stuffed with chairs is art, or pictures cut from art books, then we need to revisit the movie “Idiocracy”. Luis belongs to literature, he should write books. Following Lucian Freud’s maxim and the #ArtToo movement, Luis Jacob should “act like a gentleman and leave art alone”. 1- Tom Wolfe, Back to Blood, p352, Little, Brown, and Co. N.Y.
4- Tomkins, Calvin: Duchamp: A Biography, p. 297. 5-Marjorie Perloff The Poetics of Indeterminacy: Rimbaud to Cage p34, (Princeton UP: 1999). 6- Joan Bakewell, Joan Bakewell in conversation with Marcel Duchamp Late Night Line-Up, 1968 BBC ARTS. I found this article quite confusing at first because it went back and forth in time and also touched an array of arguments with a logic all its own. In the end, though, it all began to make sense. It made me wanting to know Luis Jacob’s side of the story; I was wondering if it would be possible for the author to interview him, as it would make a nice followup to this article. Thank you Miklos for the link to the interview. Your observations say it all, especially the last one. I’m amazed at the courage that you have to speak out, but then again, you’re not in the US. Annie Markovich wrote very appropriately in her editorial, “Art must grow beyond parameters of the Academy, outside museum norms and auction house shams to include voices of dissent, healthy dialogue and examination of culture.” When dialogue ends and censorship takes over, people become apathetic, unaware and silent. We must not be silenced, which is also what the New Art Examiner is about. Well done for exposing what took place with Akimbo and your email from Kim Fullerton. I, and hopefully many others, will write an email to Kim at: info@akimbo.ca and voice my support of your position. Excellent review! I loved when you wrote, “Which brings us to “the deeper way that artist would compel us to think”. That deeper way wonders where’s the art – if the artist is MIA? We’re compelled to deeply think that this is the art of the salesman, not the art of the artist. There is no art here, only clever marketing; any pretense to art is obviously fake, and that’s a postmodern strategy.” It made me think of an antique furniture showroom with the chairs on display, but of course not for sitting on either, just display. Chairs like people, some with arms and others without. Thanks Cammie, it’s a beautiful photo, makes me think of the Amish. 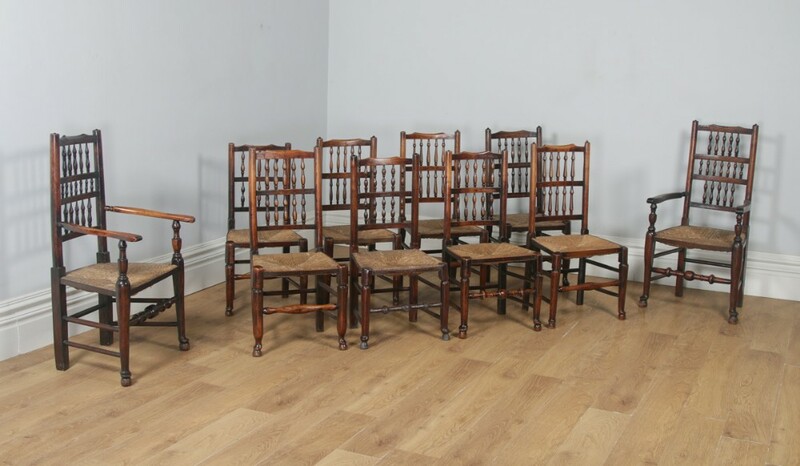 If Luis Jacob’s ” filling a room with chairs found throughout the Art Gallery” is considered art, what’s the difference between a second hand furniture shop and an exhibition of chairs in an art gallery? Is it only the difference of venue, one with the approved title of “art gallery” and the other maybe just known as a junk shop or a Goodwill store. Does putting any object inside an artistic venue make it art? Once this object leaves the gallery, is it still art?